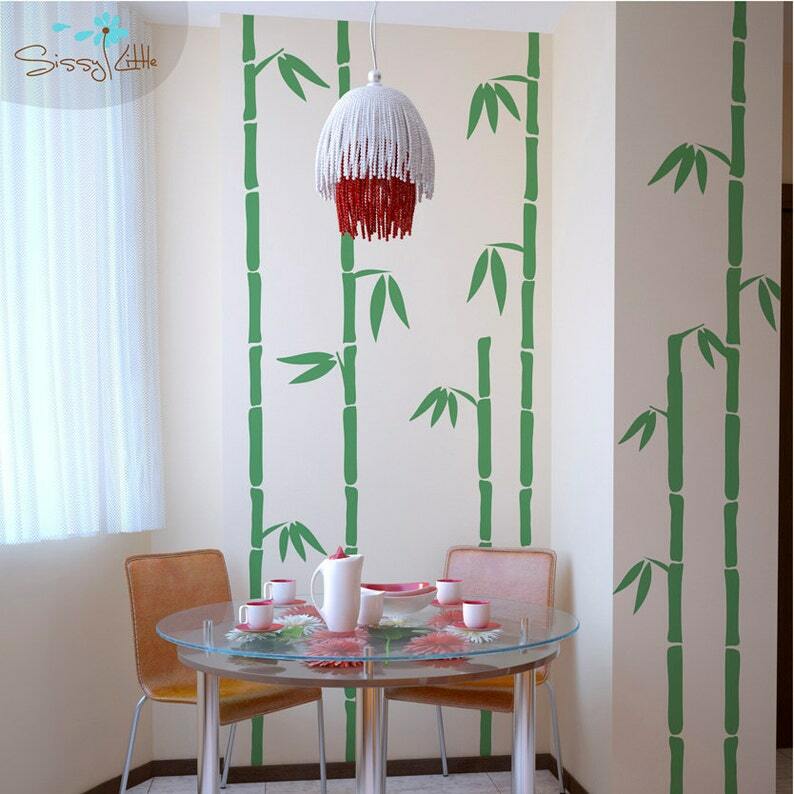 These bamboo stalk wall decals would have a panda watering at the mouth! The bamboo decals are great for that tropical or far eastern decor. They are perfect for bedrooms, living rooms, and kitchens! Bamboo, Leaf Clusters - Approximately 8in. x 8in.